Not related but I was on YouTube looking for any new Houdini related info. I found a very clear video of Houdinis funeral. Not very long but very clear and for the first time since I was a kid I was able to see the part of the film where everyone behind And around Bess at the gravesite throws flowers into the grave. Looks like Bess does indeed collapse as this is going on and you can see someone trying to help her up. The other thing that's interesting to me is the video is so clear I can for the first time make out what's going on during the long shot of Houdinis grave site....people are trying to position Houdinis coffin over or nearby the grave. I live in NJ and have been to his gave several times over the years so now to be able to relate this from 1926 to what I've seen there in person is quite a thrill. Look on YouTube ...search Houdinis death....video posted by Jonesknowledge. I have a question....obviously this Is a small clip from a much larger film of Houdinis funeral/burial..where is the entire Film? Has anyone seen more than these 20-40 second blurbs? That's the same footage that appears in The Truth About Houdini documentary, but it does look better here. 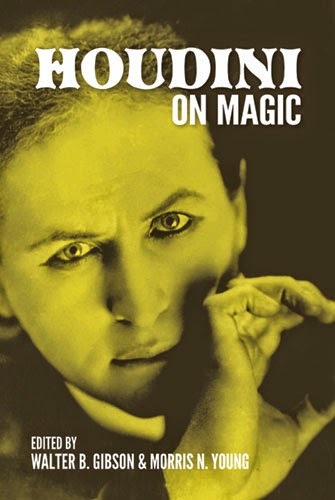 There is a lot more Houdini funeral footage that's held in a private collection. I've not seen it, but I've seen stills and a description. Its a shame, beyond shame, that collectors horde what probably is a huge amount of important Houdini film footage. At the very least they should release it as a dvd...Id certainly pay to see what I never have been able to see before. If you were to contact these collectors and ask to put these films on your web site even as a PPV type deal I am sure it would have great interest in the community.